'Sach Ka Samna' has been adapted from an internationally acclaimed show called Moment of Truth, which also has a huge fan following in India. From nail biting anxiety to answers that will almost have you fall off your chairs, the show has kept the bout of anxiety high with each contestant. While the Hindi version will be hard hitting as contestants boldly share their bitter truths, the show has been crafted keeping in mind the Indian sensibilities. Taking the contestants through this assertive roller coaster ride, the suave and sensitive Rajeev Khandelwal, encourages contestants to keep their calm while supporting them through their emotional journey. At the end, the game rewards honesty by testing the nerve, resilience and integrity of a contestant. The show is an attempt to bring about a positive change by helping the contestants shed their baggage and lead a significantly better life. Sach Ka Saamna has witnessed many startling truths of celebrities and non-celebrities but the upcoming episode has quite a hatke personality Laxmi Narayan Tripathi. A renowned activist Laxmi, an epitome of grace and courage faces the truths on the show with much aplomb. Watch the soul stirring and inspirational episode of a person who defied the conventional norms and tread her own path, this Wednesday, Thursday and Friday, August 26th, 27th & August 28th @ 11.00pm only on STAR Plus. Sach ka Saamna brings yet another riveting episode as the popular celebrity Bobby Darling takes the hot seat to brave the truths about her much spoken and little understood life. Bobby Darling, a strong willed person, faces her truth in front of her family and a close friend. Raja Chaudhary, actor turned producer braved the hot seat to speak the truth. Very few celebrities had the courage to come out and bare their souls. The questions were towards the controversies that Raja has been involved in. Does he think it is okay to hit women? Has he ever beaten his wife? Will Raja's courage fail him? Sherrin Verghese is an entertainer - a musician, a singer and an actor. Currently, he is a member of the India's first boy band, the Band of Boys. This highly enjoyable episode is light, frothy and full of easy banter. Watch this celebrity bare all - his insecurities, his aspirations and his truths. Sach Ka Saamna gets viewers privy to some shocking revelation of Urvashi on the show as she takes on the hot seat to face 21 grueling questions about her life in front of her mother Kaushal Dholakia and her best friend Shanela. Urvashi battles through personal questions and forms a very comfortable relationship with Rajeev due to their past working relationship. Vinod Kambli, one of India's most talented cricketers, sits on the hot seat to face 21 grueling questions about his life in front of those who matter to him the most - his wife Andrea and friend, Rishi. Young at heart 64 year old Lucknowi actor, Yusuf Husain takes the chair to brave the truths of his life in front of those closest to him. The show brings out various aspects of his life. Yusuf went through his moment of truth with great dignity and composure. Contestants/Participants - The first season of the show featured some well-known personalities like veteran actors Yusuf Hussain and Rupa Ganguly, former cricketer Vinod Kambli, television actors Raja Chaudhary and Urvashi Dholakia, actor and well known model Vimarsh Roshan, as well as transsexuals Bobby Darling and Laxmi Narayan Tripathi. There are also some non-celebrity contestants, such as Smita Mathai, who was the show's first participant. In just its first week, the show has created a controversy, with some sections of people demanding that the show be stopped on the premise that admission of gross personal or social misconduct by celebrities on national television will make it more "morally acceptable" for others to indulge in similar activity, thereby leading to a gradual weakening of society's morals. Some others believe that sensitive and potentially devastating issues should be discussed between the contestants and their family or friends privately, and not publicly as is the case. There are also some who applaud the contestants for having the courage to bare all in full public glare. A few have even questioned the accuracy of the polygraph results. MP Kamal Akhtar took up the issue in the Rajya Sabha, arguing that the questions asked in the show were against Indian culture and demanding a halt to its screening. On its part, the channel STAR Plus is running an opinion poll on its website and asking its viewers which celebrity they would like to see on the show. Sacch Ka Saamna (Hindi: सच का सामना, "Facing the Truth") is the Indian version of the popular American reality show The Moment of Truth, which itself is adapted from the Colombian reality game show Nada más que la verdad. The 1st season premiered on STAR Plus on July 15, 2009 and aired at 11PM IST from Monday through Friday. The 2nd season of the series premiered on December 18, 2011 on STAR TV's new channel Life OK. 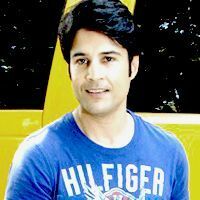 Both seasons were hosted by Rajeev Khandelwal. The show is based on the same format as The Moment of Truth. The format is owned by Howard Schultz of Lighthearted Entertainment. Prior to appearing on the actual show, contestants are asked 50 questions while being hooked up to a polygraph machine. The biological indicators of the contestant, such as pulse rate, blood pressure, etc. are measured and used by the polygraph to decide whether the answer is true or not. The contestant is not aware of the results of the polygraph for his or her answers. During the actual show, the contestant is asked 21 of the same questions again. If the contestant answers honestly, he or she moves on to the next question; however, should a contestant lie in his or her answer, or simply refuse to answer a question after it has been asked, the game ends and the contestant loses all their prize money. There are six levels of prize money in the game. The first level consists of six questions, and answering all of them truthfully will win the contestant Rs. 1,00,000 of prize money. The next level has five questions and the prize money goes up to Rs. 5,00,000. The third, fourth and fifth levels consist of four, three and two questions respectively, with the prize money being Rs. 10,00,000, Rs. 25,00,000 and Rs. 50,00,000 respectively. The final level has only one question, with the truthful answer fetching the maximum prize money of Rs. 1,00,00,000. The questions become increasingly personal and potentially embarrassing in nature as the stakes get higher. The contestants are usually accompanied by close family members or friends, who are seated beside them and the host. Several of the questions tend to be related to the relationship between them and their acquaintances present there. Next to the guests is a buzzer, which they can use to override a question which they feel is better left unanswered. In that case, the contestant will be asked an alternate question which may be easier or tougher than the question it replaced. The buzzer can only be used once during the game. The series requires contestants to sign an agreement that they will accept the conclusions drawn by the polygraph examiner. The polygraph test is done by Herb Irvine, a US-based polygraph expert. 'Sacch Ka Saamna Season 2' is the second season of India's reality show Sacch Ka Saamna, which premiered on December 18, 2011 on new channel Life OK till April 21, 2012 . This season was also hosted by television actor Rajeev Khandelwal. Have you ever been physically abused by any of your boyfriends? With this answer Bobby Darling left Sach ka Saamna.